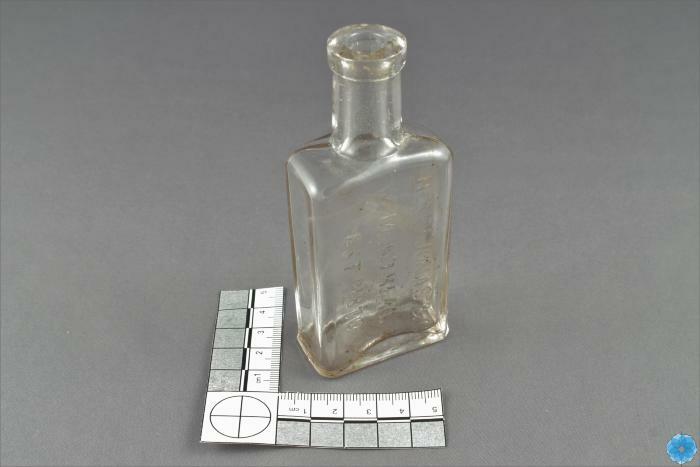 Description: Small, intact glass bottle with interior brown staining and dirt patches. Stopper style top, thick sides and top with raised manufacturer, embossed lettering on one broad side with indented smaller sides. Thick top with very small chip missing. History of Use: Henri Jonas & Co in Montreal established in 1870s and produced many spices and sauces asa well as importing a great many. 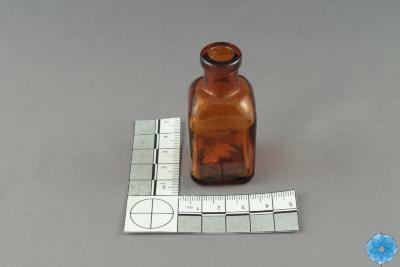 Products were widely sold well into the 1900's.